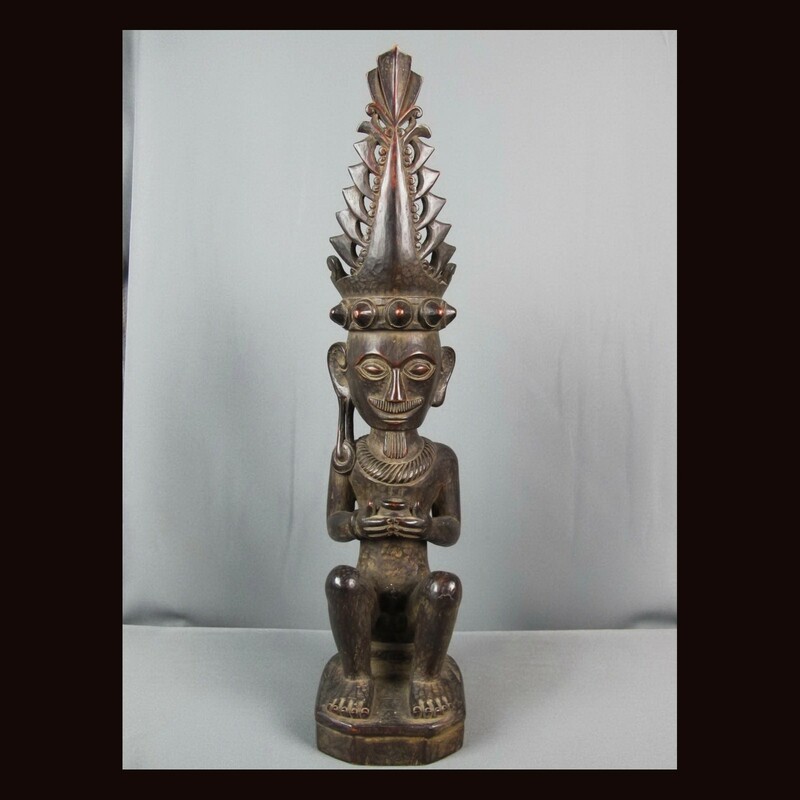 An old ancestor figure, called " Adu zatua ", from the Island of Nias, near Sumatra,made of hard wood with nice patina. 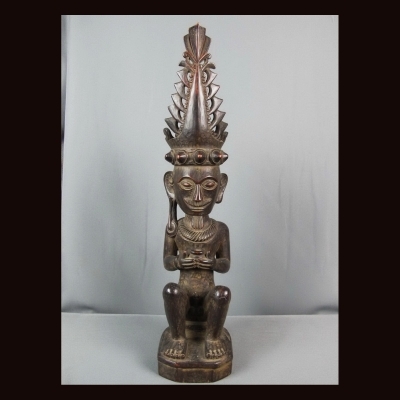 Adu zatua is a nias ancestor chief figure , represent a long deceased ancestor-chief and would have been displayed prominently inside a wealthy chief's house.as a protective device ,usually they were displayed above the floor and on top of a stand in a large room in the house .early 20th century . in excellent condition .museum piece.